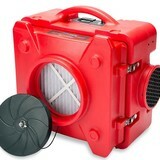 VIsit <a rel="nofollow" target="_blank" href="http://www.HepaAirScrubber.com">http://www.HepaAirScrubber.com</a> or call 800-391-3037 for lowest price and cost for Salem OR Air Scrubber Rentals today! Red Sky Rentals provides comprehensive equipment rental solutions for all of your immediate disaster, water damage and fire restoration needs nationwide. Our portable air scrubbers are ideal for homeowners and contractors dealing with the effects of fire, smoke or water damage. We can quickly provide the disaster cleanup and remediation equipment you need. 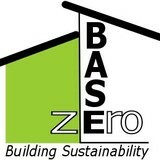 Building Sustainability... Base zero will guide you as you select the optimum combination of materials, equipment and features to find the sweet spot for builders, investors or owners. You’d want to hire an Oregon environmental and restoration company to safely remove mold, or to rebuild after a fire or flood. Unlike normal renovation professionals, a restoration company will often start by securing your home and possibly removing dangerous contents before beginning any repair work. Most environmental damage is caused by water, fire or wind, so you’ll want to choose an Oregon restoration professional with experience in one or all of these areas. What about mold remediation? Mold remediation is the process of removing mold safely following industry protocols. Special training, equipment and licensing are required. Make sure you are working with Oregon certified, licensed and insured professionals who guarantee and warranty their restoration work. Older homes needing restoration may have lead paint on walls, doors, windows and windowsills. Lead that gets disturbed by sanding, cutting or replacing old windows can create hazardous lead dust. If your Oregon home was built before 1978, you’ll want to find restoration professionals with experience and training in lead-safe procedures. Find environmental services and restoration professionals on Houzz. Narrow your search in the Professionals section to Black Butte Ranch, OR residential environmental testing and home disaster restoration services to find a list of qualified professionals. Read through professional profiles for information on qualifications, experience and services provided.